FRA Partners Neil Keenan and FRA Directors Masako Asaka, Danielle Logue, and Mike Trahar attended GIR Live DC. This year’s event was highly focused on the Justice Department’s new FCPA Corporate Enforcement Policy. A keynote from John Cronan, Principal Deputy Assistant Attorney General, Criminal Division, US Department of Justice, and session on emerging issues in the cross-border regulatory environment rounded out the day. Masako shares key insights from the day below. Though not guaranteed for a declination, it is still very much recommended by regulators. Similarly the DOJ takes the stance that timely disclosure is crucial to securing benefits, before whistleblower complaints, government investigation, and/or evidence destruction. In the eyes of the DOJ, ‘timely’ reporting refers to relatively soon after internal investigation is completed. The DOJ also stressed the importance of companies only investigated the bare minimum, just enough to report. As shared by the keynote, John Cronan, timely and voluntary disclosure, ongoing and continued cooperation, enhanced and proven compliance programs, changes in C-Suites and company environments, and robust investigation are all key elements for declination consideration. The DOJ will continue to focus their efforts on prosecuting individuals to hold them accountable for their actions. In light of the new guidance issued by the head of DOJ’s Criminal Division, Brian Benczkowski, the DOJ is planning to hire more lawyers with compliance experience so that they can determine whether or not companies had established a working compliance program, ultimately determining wither a monitor is necessary. Finally, when undergoing an investigation, companies should prepare to discuss a wide range of information to the government, including but not limited to investigation steps taken, individuals involved, responsible parties, outside counsel and accounting firm involvement, steps taken to preserve and collect data, and documents shared with employees and interviewees. 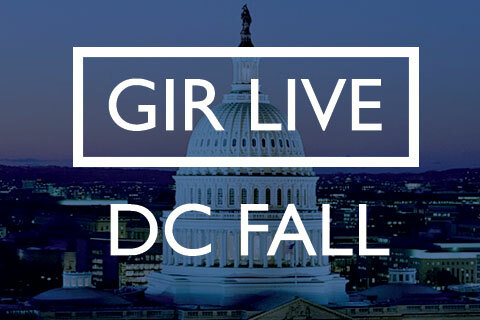 For more on GIR Live DC and future GIR events, visit their website.